Home Tags Posts tagged with "amal alamuddin"
Amal and George Clooney have welcomed their twins – a girl named Ella and a boy named Alexander – on June 6. The twins were born in London, George Clooney’s publicist said. George Clooney, 56, married Amal Alamuddin, 39, in September 2014 in Venice. Amal Clooney’s parents said they were delighted to welcome their grandchildren. “They are in great health, all is perfect,” Amal Clooney’s father Ramzi Alamuddin, who lives in Beirut, told AFP. 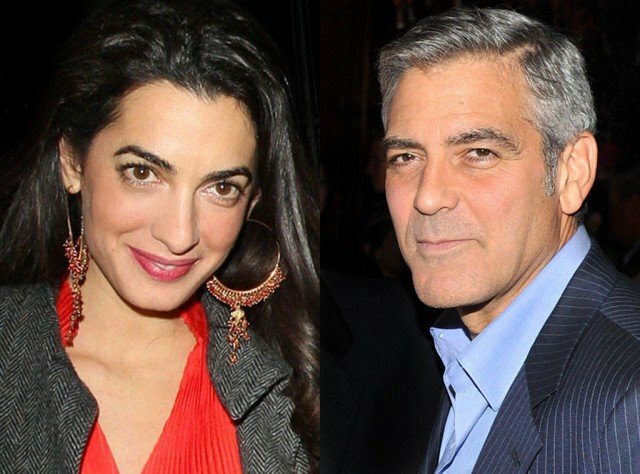 In a recent interview with CBS’ Charlie Rose, George Clooney revealed that his proposal to Amal Alamuddin was a total surprise for the bride-to-be. The 54-year-old actor said: “When I asked her, we had never talked about it, so it was all – there wasn’t like a, <<Maybe we should get married>>. He also revealed he had a little help popping the question from his late aunt, legendary singer Rosemary Clooney. “I was at my home and I queued up a playlist of some of my aunt Rosemary’s songs and I asked, and she just kept saying, <<Oh my God>> and <<Wow>> – completely unexpected,” George Clooney said. George Clooney married the 37-year-old human rights lawyer in September 2014 in Venice, Italy. George Clooney’s new wife, Amal Alamuddin, has professionally changed her last name to Clooney. Her London law firm’s website, Doughty Street Chambers, now shows a stunning photo of the newlywed and her bio reads “Amal Clooney”. The 36-year-old human rights lawyer and George Clooney married in a lavish ceremony in Venice, Italy, over the weekend of September 27 at the seven-star Amana Canal Grande hotel. George Clooney and Amal Alamuddin exchanged vows in front A-lists guests including Matt Damon, Emily Blunt, Bill Murray, Cindy Crawford and more. Nine days after becoming husband and wife, George Clooney and Amal Alamuddin closed a deal on a dream home, The Mill House, which is a 17th-century manor on the River Thames in the British countryside. George Clooney’s wife, Amal Alamuddin, bought him two cocker spaniels for a wedding gift. Amal Alamuddin – who also gave her new husband customized cufflinks inscribed with his first name in Arabic ahead of their recent nuptials in Venice, Italy – reportedly surprised him with the new puppies during their honeymoon in Berkshire. 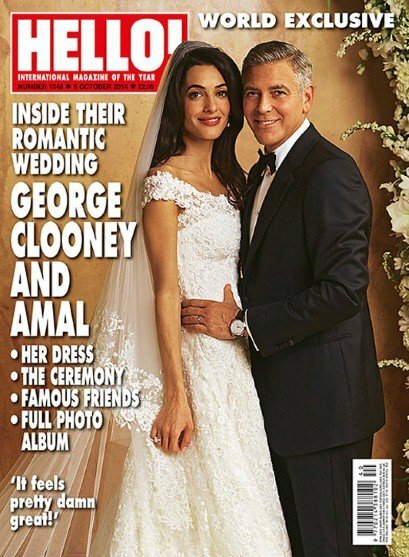 A source told Us Weekly magazine: “Amal bought George two three-month-old cocker spaniels for George as a wedding gift, and they were waiting for them at the house. George Clooney, 53, who already has a cocker spaniel mix named Einstein adopted from a pet shelter, and Amal Alamuddin, 36, have barely left their new, secluded $8 million mansion since tying the knot. 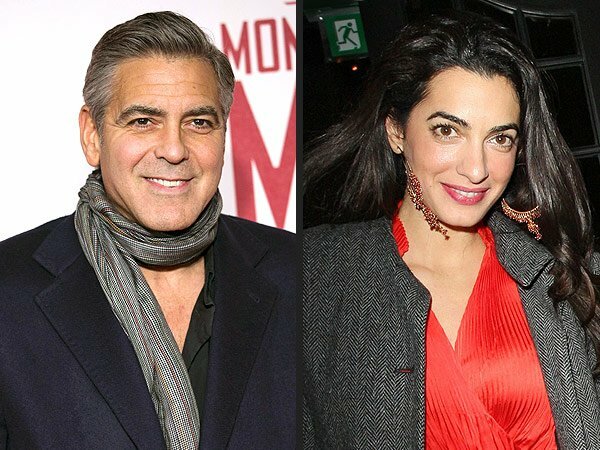 Amal Alamuddin reportedly quit smoking after she started dating George Clooney. Amal Alamuddin’s decision to adopt a healthier lifestyle comes as no surprise, as George previously admitted he is “a big non-smoker”. George Clooney and Amal Alamuddin’s four-day wedding celebrations in Venice cost an estimated 10 million euros ($13 million). The wedding celebrations involved pool-side cocktail parties, dinners in five-star hotels and a lavish wedding reception on the Grand Canal. More than 100 guests, including Matt Damon, Sandra Bullock and Cindy Crawford, converged on Venice for the extravaganza, which began on September 26 and culminated on September 29 with a civil ceremony in which George Clooney and Amal Alamuddin were formally married. 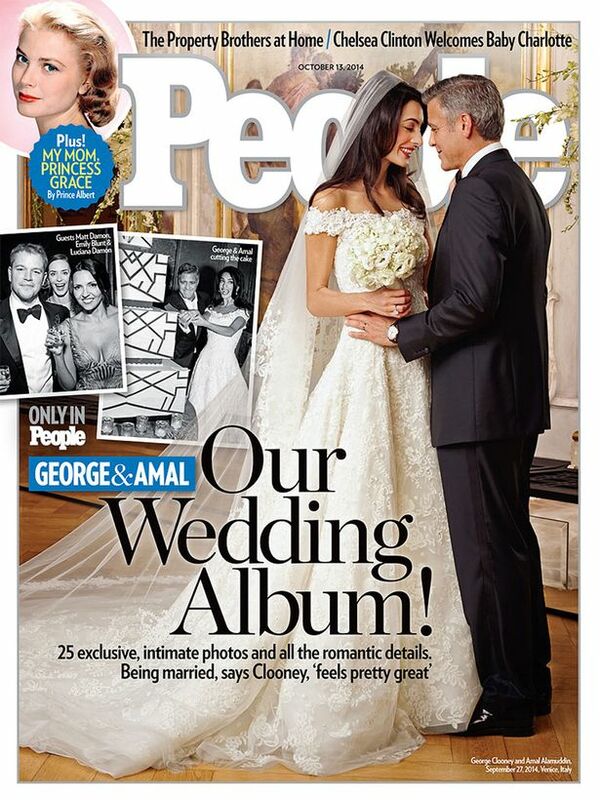 The final bill for the extravaganza included the cost of Amal Alamuddin’s wedding dress, the first pictures of which emerged on September 29 on the covers of People and Hello magazines. Amal Alamuddin’s white lace gown, designed by Oscar de la Renta, was hand-stitched with hundreds of pearls and crystals. The off-the-shoulder, ivory-colored dress featured a floor-length veil. The cost of the wedding also included the hire of water taxis to take guests to and from the various venues, the rooms in which they stayed at the five-star Hotel Cipriani, and the reception at the Aman Hotel on Saturday night, in which George Clooney and his British fiancée informally exchanged vows. George Clooney flew in cases of his own brand of tequila and the couple gave iPods loaded with a special collection of their favourite songs to their guests as presents. It was not clear who picked up the tab for the four-day marriage marathon. The Italian media reported that the whole event was paid for by Amal Alamuddin’s father Ramzi, a retired professor at the American University of Beirut. However, it seemed likely that George Clooney, one of the highest-paid actors in the world, would have chipped in too. George Clooney and Amal Alamuddin’s marriage has been sealed with a civil ceremony in Venice on September 29. George Clooney and Amal Alamuddin went by boat to the city hall building where the brief procedure was conducted. At the weekend, a host of famous guests including Matt Damon and Bill Murray attended a lavish wedding reception for the couple. George Clooney’s publicist broke the news of their nuptials in a brief statement to the press on Saturday. The couple emerged from the town hall some 10 minutes after their arrival and were whisked away in a water taxi, surrounded by other boats and watched by well-wishers. George Clooney was dressed in a charcoal grey suit, while Amal Alamuddin wore a smart-casual white outfit and a wide-brimmed sunhat. At city hall, George Clooney and Amal Alamuddin were officially married under Italian law by former mayor of Rome Walter Veltroni, a long-time friend of the film star. Earlier in the day, he was seen getting ready for the ceremony at the Hotel Cipriani, where the wedding party have been staying. George Clooney and Amal Alamuddin were engaged in April. The actor was previously married to Talia Balsam, who he divorced in 1993. Lebanese-born British lawyer Amal Alamuddin has defended Julian Assange of WikiLeaks and former Ukrainian PM Yulia Tymoshenko among others. 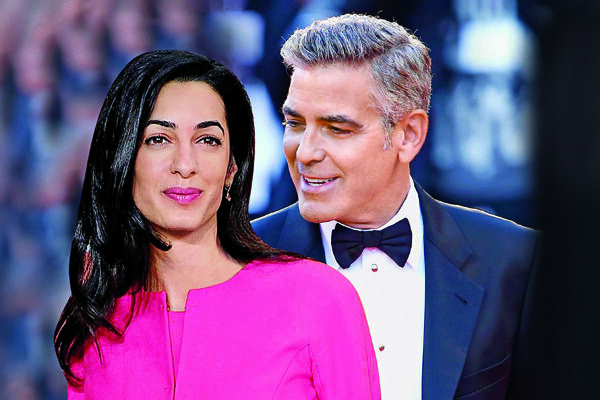 Amal Alamuddin met George Clooney through her work. George Clooney and his wife, human rights lawyer Amal Alamuddin, have stepped out in Venice one day after the couple married in the Italian city. George Clooney, 53, married Amal Alamuddin, 36, in a private ceremony in Venice. Hollywood stars such as Matt Damon and Bill Murray were among the guests at Saturday’s reception. 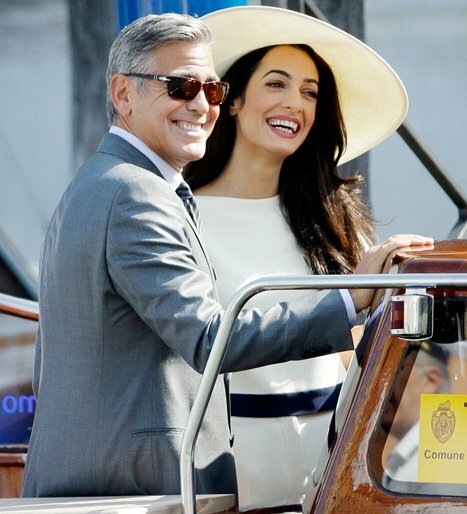 On September 28, George Clooney and Amal Alamuddin took to Venice’s canals waving to the cheering crowds. George Clooney and Amal Alamuddin got engaged in April 2014. George Clooney has married Amal Alamuddin in Venice, in one of the most eagerly anticipated showbiz event of the year. A host of fellow stars descended on Venice’s canals for the union between George Clooney, 53, and Amal Alamuddin, 36. The ceremony was celebrated in a hotel overlooking the famous Grand Canal. George Clooney’s agent Stan Rosenfield broke the news to journalists. Stan Rosenfield announced the news in a single sentence in what, according to AP news agency, is expected to be the only communication on the marriage. George Clooney and his friends had sipped champagne before gliding up the Grand Canal on Saturday evening to the luxury Aman Hotel, waving to hundreds of well-wishers. Guests include Cindy Crawford, Bill Murray, Matt Damon and the U2 singer Bono. George Clooney’s boat was momentarily blocked by a passing cruise liner and then by a water bus, giving time for dozens of boats carrying photographers to catch up, AP writes. A police boat swerved in vain to try to keep the paparazzi away. 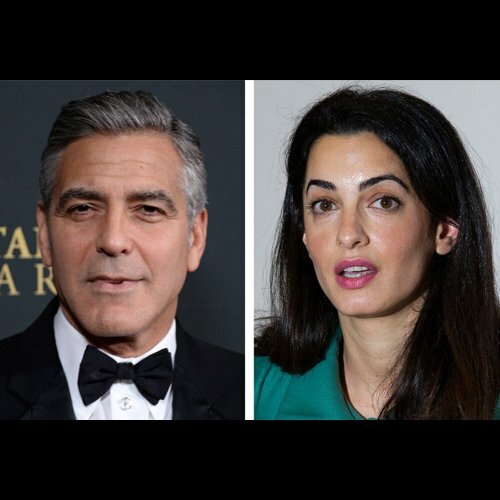 Human rights lawyer Amal Alamuddin was last seen publicly on September 26 riding in a water taxi down the Grand Canal with George Clooney’s arm resting around her. George Clooney and Amal Alamuddin were engaged in April 2014. 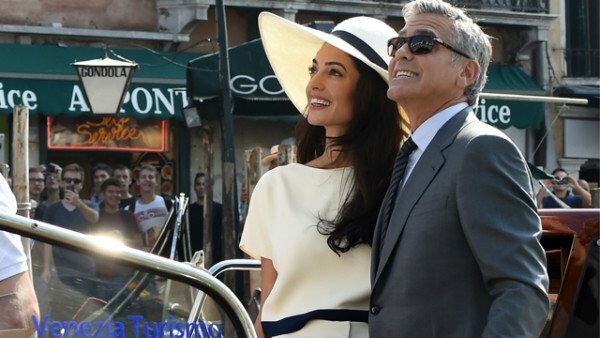 According to new reports, Venice city officials are closing a walkway fronting the picturesque Grand Canal to keep crowds away from George Clooney’s wedding to human rights lawyer Amal Alamuddin. Venice city on September 26 issued an order closing walkways accessing the 16th Century Palazzo Cavalli (Cavalli Palace) for at least two hours on September 29, citing “the George Clooney wedding”. A city official, who spoke on condition of anonymity because he was not authorized to speak to the media, said city police requested the closure to prevent crowds from gathering and creating a safety risk. The official said such closures have taken place previously for both public and private events. The Cavalli Palace is used for civil marriage ceremonies, with rooms overlooking the Grand Canal and the famed Rialto Bridge. Amal Alamuddin flew from London to Milan with her mom Baria on Thursday, September 25, ahead of her wedding to George Clooney. The future spouses are anticipating big-name guests at their nuptials, including pals like Rande Gerber and Cindy Crawford, as well as Matt Damon and his wife, Luciana. George Clooney proposed to Amal Alamuddin this past April, after they started dating in late 2013. George Clooney and Amal Alamuddin obtained their marriage license in London at Chelsea Town Hall, Us Weekly reported. 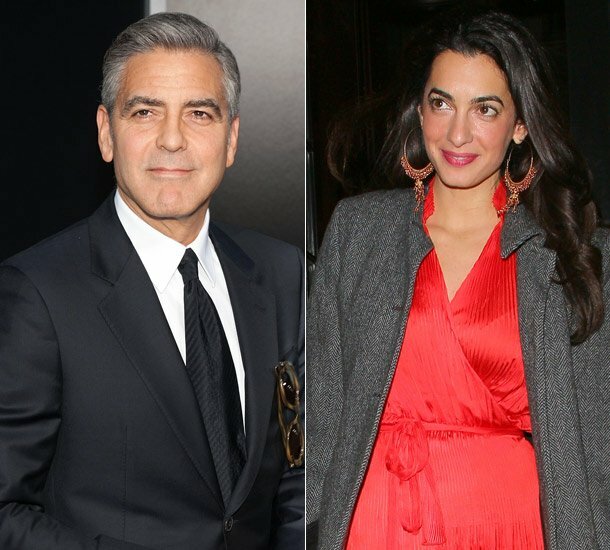 On the license, which was first posted by Dlisted.com, George Clooney’s name reads as George Timothy Clooney while his lawyer love’s is listed as Amal Ramzi Alamuddin. In London, the marriage licenses are apparently announced on a piece of paper behind a glass cover outside the town hall for all to see. 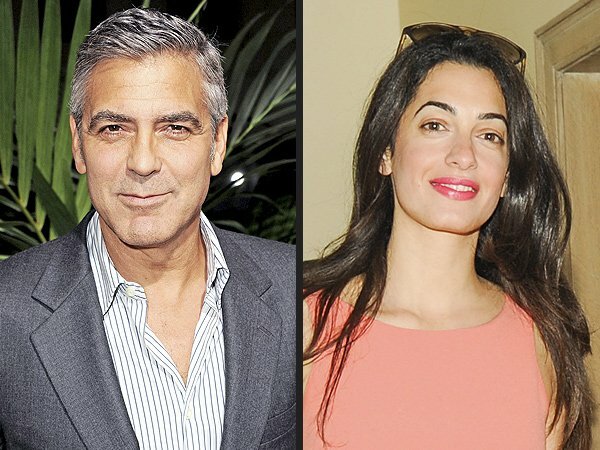 George Clooney and Lebanon-born Amal Alamuddin, who got engaged in April, are reportedly set to have a fall wedding. George Clooney, 53, was married to actress Talia Balsam from 1989 to 1993. 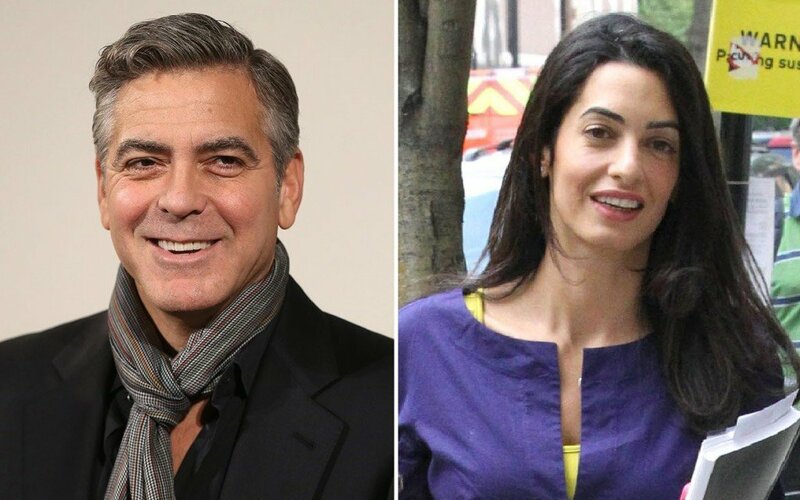 George Clooney is to wed his girlfriend, lawyer Amal Alamuddin, her law firm has confirmed. “The barristers and staff of Doughty Street Chambers offer their best wishes and congratulations… on their engagement to be married,” the London firm said in a statement. George Clooney, 52, and Amal Alamuddin, 36, have been dating since last October, according to reports. The actor was previously married to Talia Balsam, whom he divorced in 1993. Since then, George Clooney has been seen as one of Hollywood’s most eligible bachelors. Amal Alamuddin was educated at Oxford and New York University and was recruited by her current firm in 2010. The British human rights lawyer has represented WikiLeaks founder Julian Assange in extradition proceedings and advised UN former secretary-general Kofi Annan on the Syrian crisis. Doughty Street chief executive Robin Jackson said Amal Alamuddin had been “utterly wonderful” since she joined the firm in 2010. A fluent French and Arabic speaker, Amal Alamuddin is said to have spent time with George Clooney in New York, Tanzania and the Seychelles. Speculation that George Clooney was planning to remarry escalated over the weekend after his girlfriend was seen wearing a ring on her wedding finger at a Los Angeles restaurant. George Clooney recently popped the question to girlfriend Amal Alamuddin, a source close to the couple has confirmed to People magazine. “George and Amal are trying to keep things very low-key but they also aren’t really trying to hide this, it doesn’t seem. I think it’s like they want the people they love to know that this is real, that they plan on being together forever,” the source told the publication. On Thursday, George Clooney, 52, and 36-year-old Amal Alamuddin, a British attorney who specializes in international law and human rights, were spotted dining at trendy eatery Nobu in Malibu, alongside Cindy Crawford and husband Rande Gerber, a longtime friend of Clooney’s. Engagement rumors flew after witnesses at the restaurant noted that Amal Alamaddin was wearing quite the diamond sparkler on her ring finger. George Clooney has had many high-profile romances, including ones with Stacy Keibler, Kelly Preston, Renee Zellwegger and Elisabetta Canalis, during his decades in the limelight. He was also married to actress Talia Balsam from 1989 to1993.